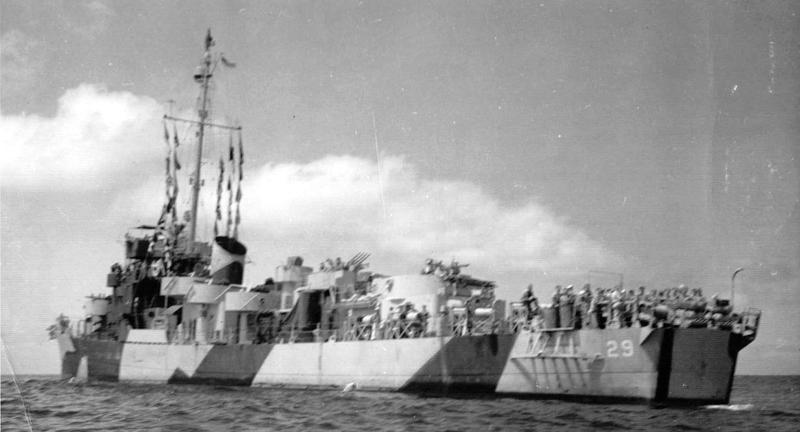 USS Stadtfeld (DE-29) is shown at an unidentified date and place wearing 32/1D. Stadtfeld was reported to have been repainted in 32/1D by SeaBee Detachment 1019 at Noumea on May 7, 1944. Photo source: Clifford D. Feak collection, courtesy of his daughter, Alice Feak-Theriault, through Robert Patrokas by permission.